What is happening in Australian cricket currently is a mystery to me. Call it a googly or a doosra. Why did David Peever, the Cricket Australia chairman until last Thursday, resign? He resigned in the wake of a damning review of the organisation’s culture. Please explain. In which way did Peever contribute to Australian cricketers’ unsatisfactory behaviour over the years? 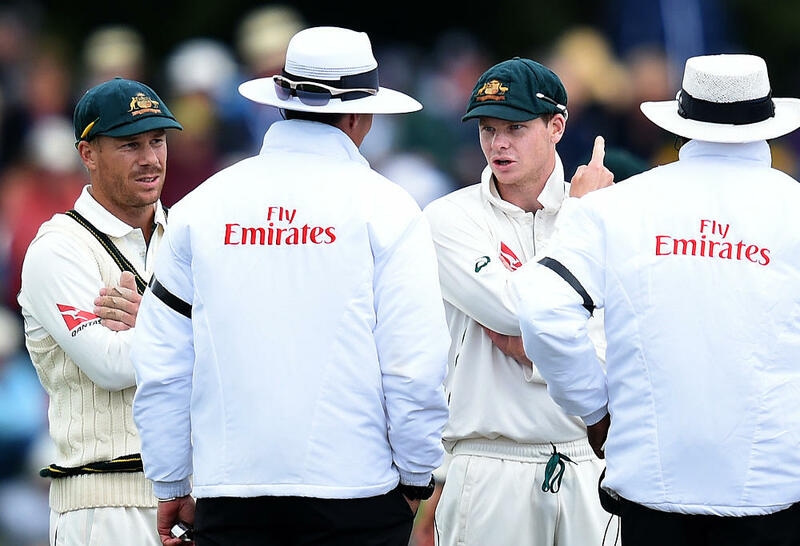 If the Australian culture, or lack of it, led to Cameron Bancroft tampering the ball with sandpaper under the instruction of vice-captain David Warner and skipper Steve Smith, was it Peever’s fault? And why is Cricket Australia to blame if it instructs the players to do their very best to win? Let me give an analogy. If a school teacher tells their students to do their very best in the exams and not be satisfied by just passing the exam – but aim at securing a high distinction, is the teacher right or wrong? If a student cheats, is it the teacher’s fault? In case of the March 2018 Cape Town Test, Peever was not even in charge. I suspect that, in view of the Australian team performing badly against Pakistan in UAE last month, the Australian Cricketers Association, through Cricket Australia, wants to bring back Smith and Warner. After all, India under Virat Kohli is a formidable opponent determined to win their first ever Test series down under. They are also ranked number one in Test cricket. So, selflessly taking blame on themselves, Cricket Australia can say that the ball-tampering episode of March 2018 was as much their fault as that of Warner, Smith and Bancroft. My prediction is that, in a week or two, we will hear the announcement under the new Chairman that, in view of our poor culture, we will reduce the ban on the three Australians to six months each. I have done research on punishments received for ball tampering in the past and that received by Smith, Warner and Bancroft was indeed very severe. In the Chennai Test of 1977 against India, England’s fast bowler John Lever was caught by umpire Judah Reuben carrying a strip of surgical gauze covered with vaseline – a breach of Law 46. But captain Tony Greig made an excuse that it was to keep sweat falling in the bowler’s eyes, and Lever did not receive any ban. In a Perth ODI against Australia in 2010, Pakistan’s ‘boom boom’ Shahid Afridi was caught biting a ball and its seam. His punishment? He was banned from two T20 internationals! Against Australia in the 2016 Hobart Test, South Africa’s Faf du Plessis was found shining the ball with a mint he kept in his mouth, a violation of Law 42.2. He was fined 100 percent of his match fees. In view of the above incidents, the punishment received by Smith, Warner and Bancroft was huge. To correct this error, Australian Cricketers Association is putting the blame partly on Cricket Australia so that the trio of Smith, Warner and Bancroft can play Test matches this summer. This is only my theory and I could be wrong. What do you say Roarers? Kersi is an author of 13 cricket books including The Waugh Twins, Cricket's Great All-rounders,Six Appeal and Nervous Nineties. He writes regularly for Inside Cricket and other publications. His recent book, Cricket's Conflicts and Controversies, features a foreword by Greg Chappell.